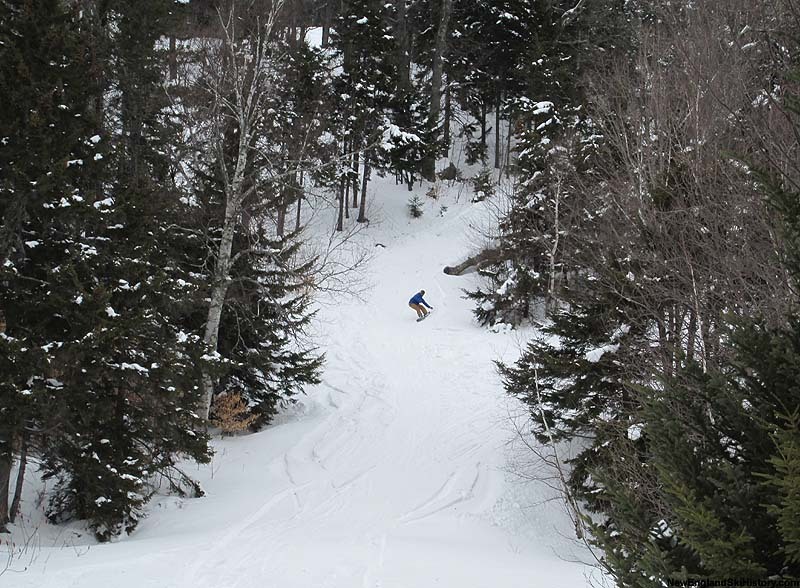 With other areas in the Eastern Slope region quickly growing and modernizing, T-Bar serviced Black Mountain ran the risk of getting left behind in the dust. 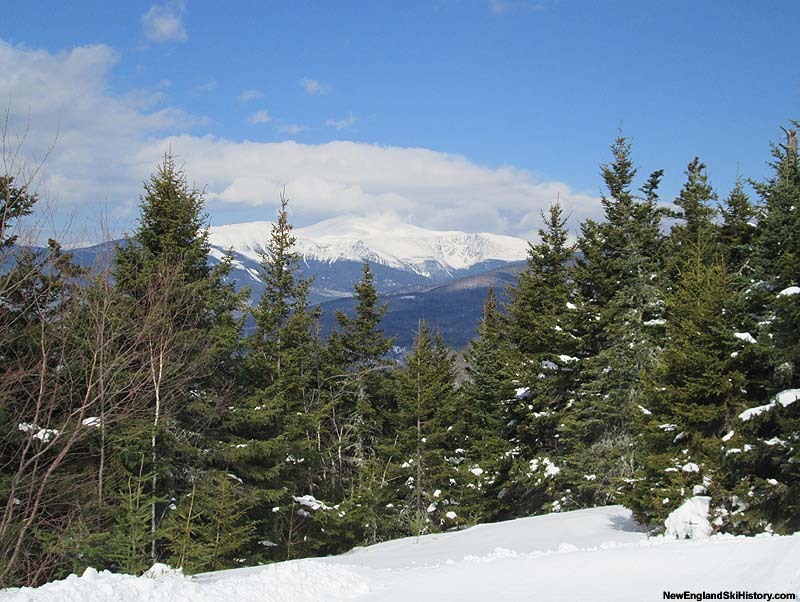 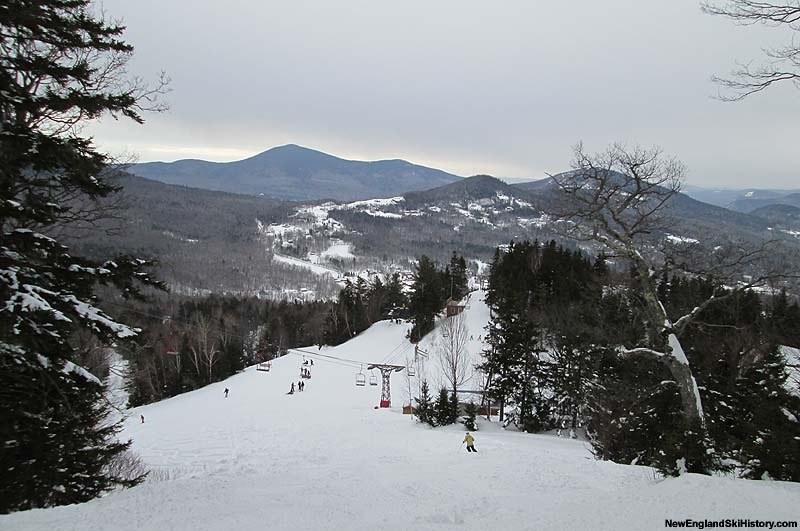 While it had enjoyed years of being a top ski area in the region, new upstarts such as Wildcat, Tyrol, and Attitash were sprouting up. 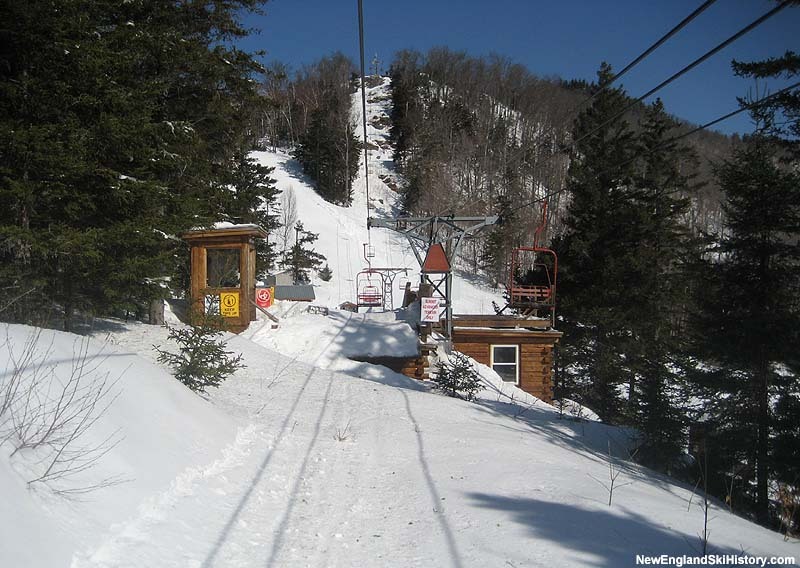 After nearly two decades of operating its T-Bar up to the Knoll, Black installed its first chairlift for the 1965-66 season. 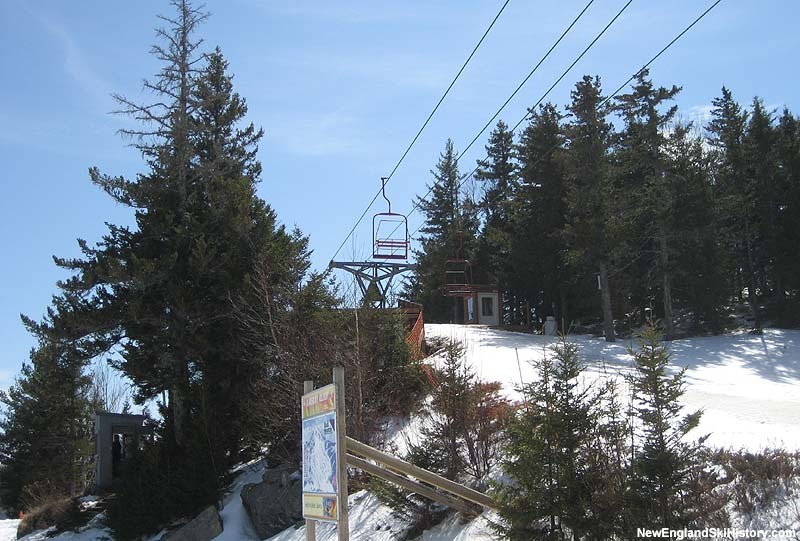 A Mueller double, the new lift climbed1,100 vertical feet while running 4,360 feet in length. 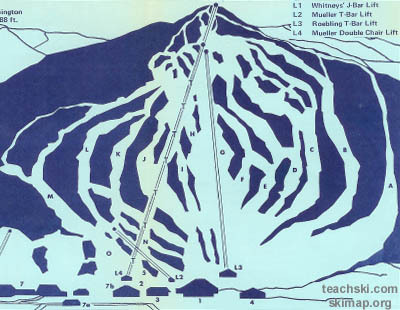 A unloading station would be installed adjacent to the top of the T-Bar at the Knoll, above which the new chair climbed nearly 250 more vertical feet. 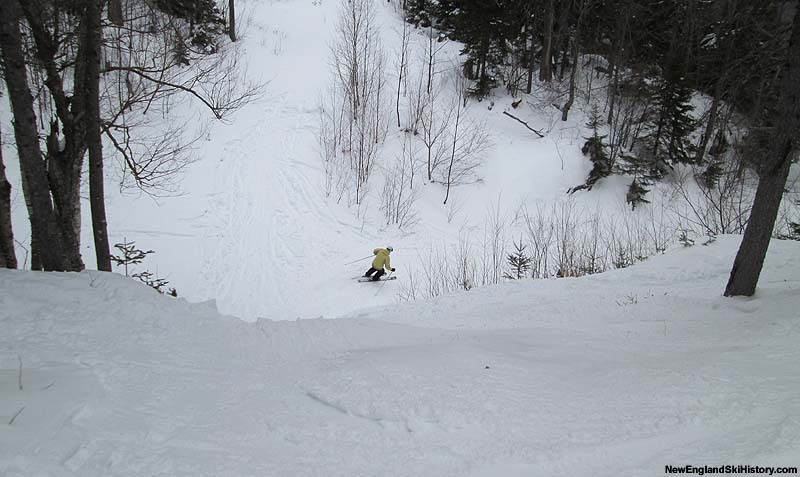 New trails were opened, including some very steep, short expert chutes. 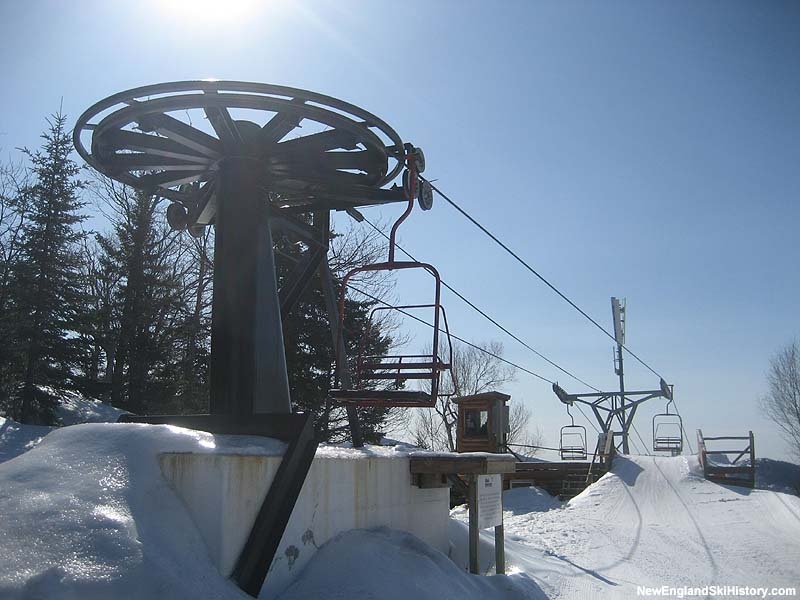 The new lift was dedicated on December 18, 1965, opening the new terrain and ushering Black Mountain into the chairlift age. 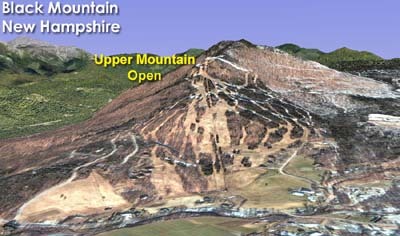 After a fire decades later, many Mueller components were replaced with Riblet parts.